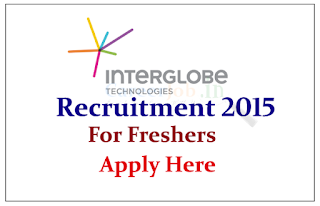 InterGlobe Technologies off Campus Drive 2015 freshers for the various posts. Eligible candidate can attend off campus Interview, for more details check below. 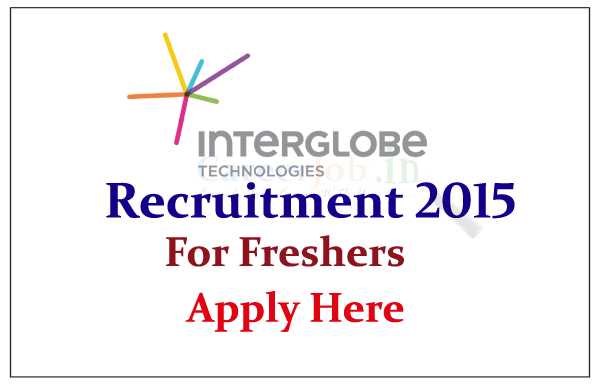 InterGlobe Technologies (IGT) is a leading BPM & IT Services provider committed to delivering innovation and business excellence across the entire spectrum of the travel, transportation and hospitality domain. The company offers integrated IT-BPM services comprising of Application Development and Maintenance, Contact Center Services, Back Office Services, Consulting Services and Solution Frameworks to the travel industry worldwide. Interested and eligible candidate can register this off campus drive and fix the time of interview by the above mentioned link and venue details will send through Email.